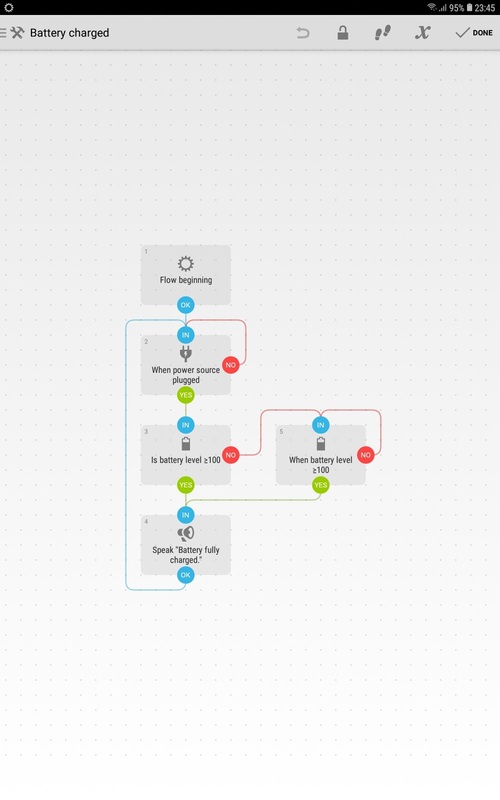 This is an example of Automate flow. To learn more about Automate for Android phones, click here. It is advisable to unplug your phone / tablet from its battery charging source once its battery is 100% fully charged. Although modern Li-polymer battery has overcharge protection in its circuit and in its charger, overcharge can still happen when the battery is aged (exceeded its warranty period), or you are using 3rd party charger and/or 3rd party charging cable, which might not work well with its overcharge protection mechanism. Some common symptoms of battery overcharged including overheat and/or battery bulking (permanent damage). 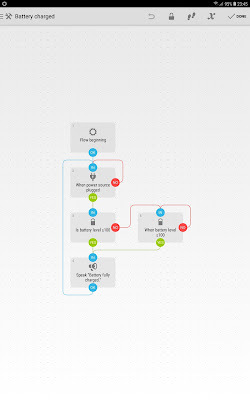 This is a simple Automate flow that lets your phone / tablet speak to you to inform that its battery is 100% fully charged, so that you are alerted and can proceed to unplug it from the charging source. You can change the speaking voice, its pitch and speed, in your Android text-to-speech setting.